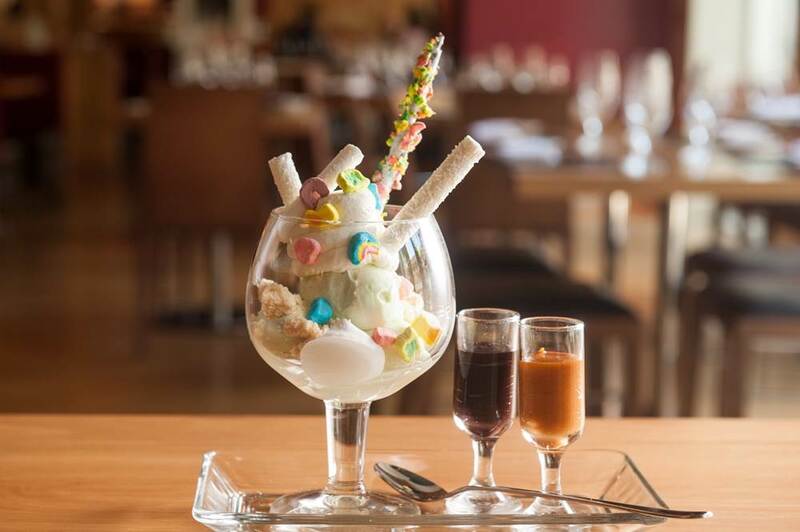 Available now, Chef Differ will be serving up these three ice cream beauties, which are the perfect summer treat to enjoy on Bar Boulud’s terrace among friends or in the lounge after work as a cool and creamy pick-me-up. This year’s flavors include Magically Delicious (toasted oat cereal ice cream, vanilla crumble, lucky charms, marshmallow $13), Black & White (cookies & cream ice cream, bittersweet chocolate sauce, Chantilly, BB chocolate wafers $14), and Hazelnut Rocher (hazelnut ice cream, Nutella, praline pirouettes, vanilla Chantilly, hazelnut rocher $14). A tasting version of all three sundaes is also available for $15. Chef Differ is inspired by desserts that skillfully offer a balance and juxtaposition of texture, temperature and seasonal flavors. Why not try out his Back Bay Sundaes. 2) Ocean Prime Boston, located in the Seaport district, is rolling out its #TGISF (Thank Goodness It’s Summer Friday) Seafood Happy Hour, from 4pm-6pm, every Friday this summer. Guests can enjoy $1 oysters and $10 sushi rolls in either The Lounge or the newly-opened outdoor patio. o Lobster Roll: Poached Lobster Tail, Kiwi, Pickled Serrano, Masago, and Spicy Mango Puree.